I was in Poland, visiting and touring with Polish friends who have a home here and in the UK. 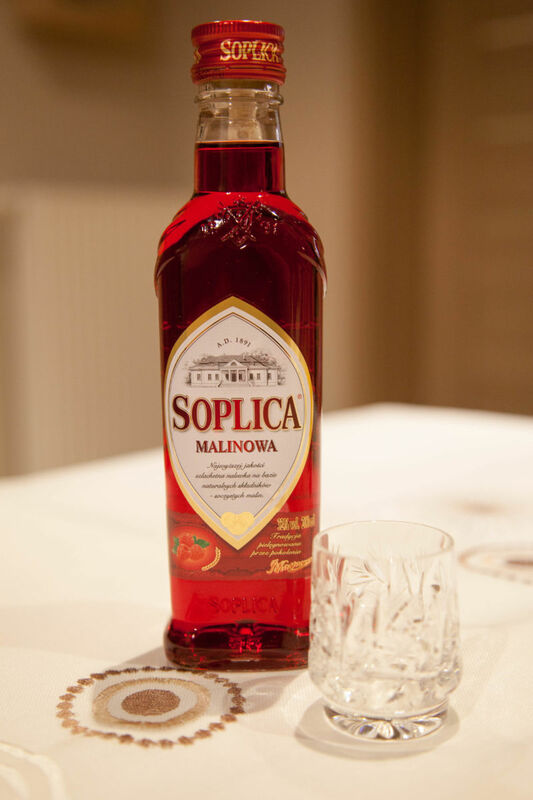 Before I got here, my girlfriend’s husband told me that he couldn’t wait to introduce me to Polish Vodka in a comment on Facebook. I was intrigued; after all, vodka doesn’t have much flavor right? 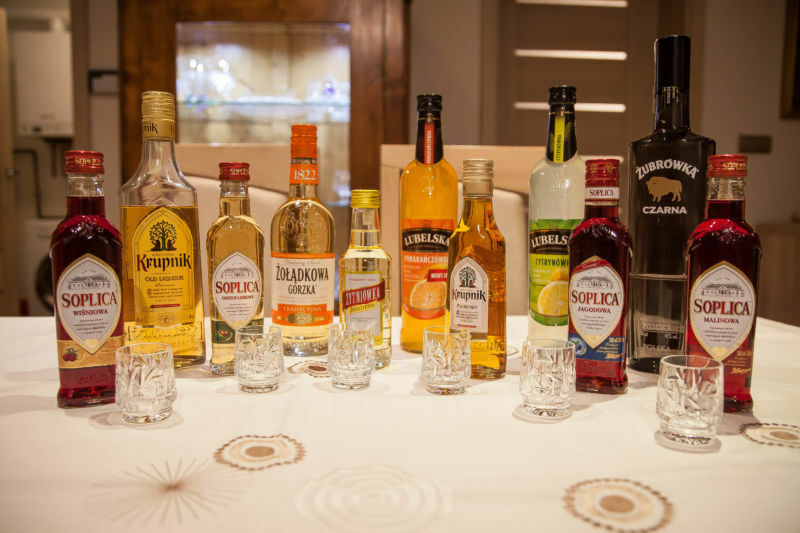 My friends thought that it would be fun to do a tasting through all the traditional flavored vodkas. My only real experience with flavored vodkas was the Mandarin Blossom Vodka from Hangar One, and making different flavors at home for The Brit as a fun Christmas gift. The Brit comments: California Girl’s handcrafted infused vodkas are excellent; varying from the traditional lemon flavored one to a more unusual caramel flavour. When all of the vodkas were lined up in front of me, I knew this night would not be good for my liver. Oh man, there was a lot of alcohol to taste. The traditional way to drink Vodka in Poland is with water and fruit juice in between each shot. On this occasion my hostess had apple juice and water mixed. We had eleven bottles to taste and compare. The flavors we had were: quince, honey, bitter stomach (which is basically orange and herbs), two different brands of lemon, orange, hazelnut, cherry, blueberry, raspberry, and non-flavored. 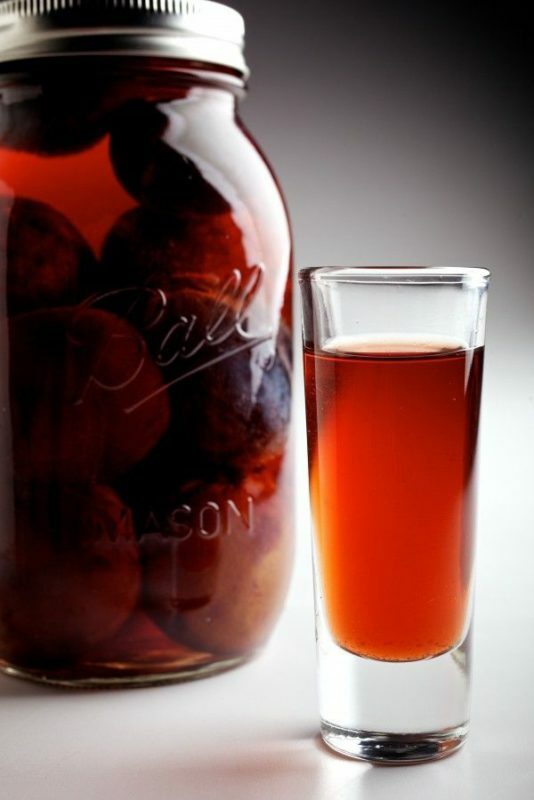 The quince flavor was smooth and rich with good quince flavor to it. This one ended up to be the unanimous winner of the tasting contest. I really could get used to sipping this after a hard day. I doubt, however, that it would take the place of my glass of wine as the alcohol content was around 38%. Yikes! The Bitter Stomach flavor was our second favorite of the tasting. I really liked the mix of flavors and herbs. It was kinda orange peel, cloves, nutmeg, and sage on the palate. I bet it would make great cocktails. When I spoke to The Brit and told him all about my new find, he just sighed and said we already had some in our liquor cabinet. Can you actually roll your eyes at someone over a text? 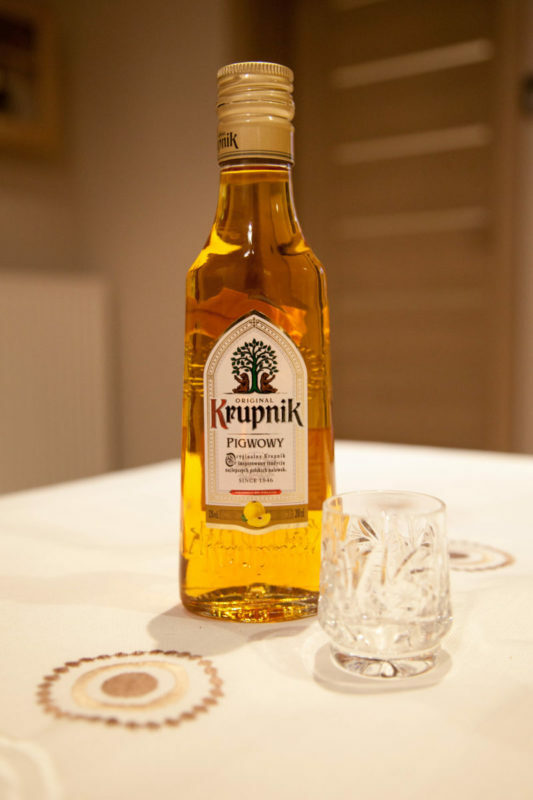 The Brit Comments: The bottle that I have was a gift from the same Polish friend who seems to be set on giving California Girl alcohol poisoning. 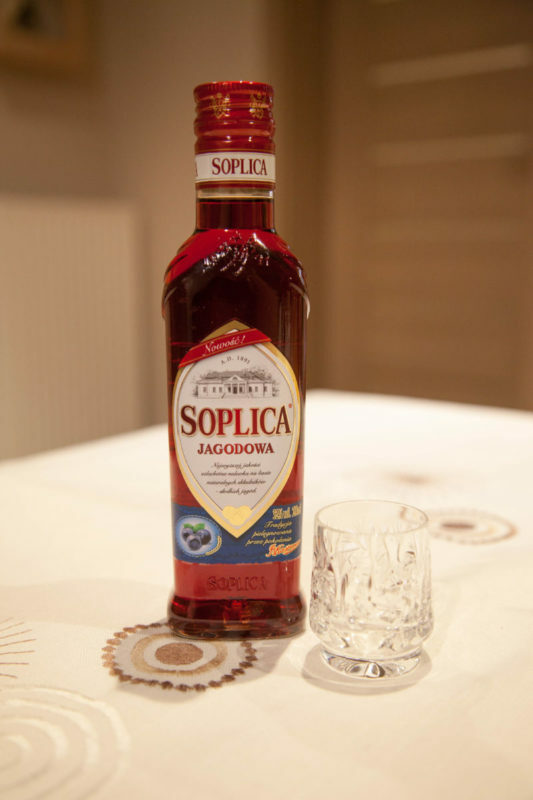 The name in Polish is Wódka Żołądkowa Gorzka. The herbal complexity makes it interesting to use in cocktails in a similar manner to Chartreuse or Benedictine. Third and Fourth places were basically a tie. We loved the blueberry and raspberry flavors. They were both good representations of what they were supposed to be without tasting too fake.They are both smooth and sweet and I would pour them over desserts. They are good for sipping; I can imagine them in cocktails. The raspberry especially would be great in various drinks. The one we really didn’t care for is the lemon and the orange flavors. One of the lemon flavored vodka tasted like the lemon juice you buy in the grocery store in that little lemon shaped squirt bottle. Meh. Compared to the other flavors, it just wasn’t as good. The orange flavor was good, but a little fake. I think that is the make rather than a good representation of what it could be like. 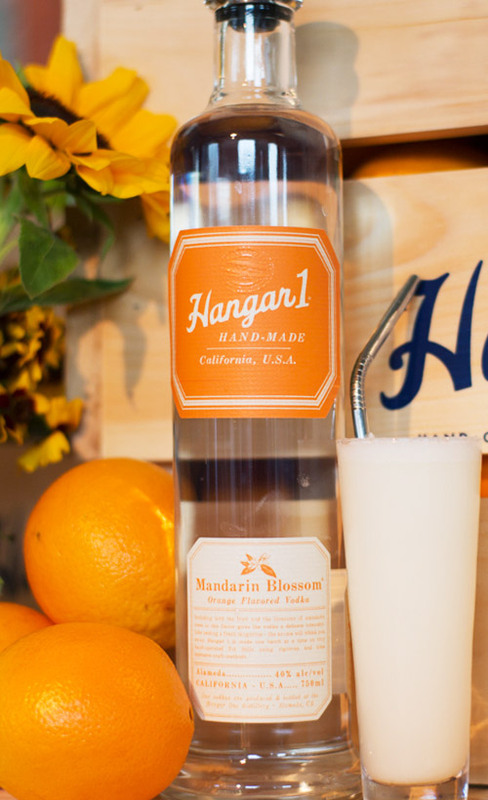 Hangar One makes an amazing orange blossom vodka that I really enjoy. My hosts being Polish wanted to finish the winning bottle, but I was too much of a wimp to continue. I did drink one more full shot of the winning quince flavor before I crawled up the stairs and into my bed. That was twelve full shots of vodka for me in less than two hours. Can you say drunk? Holy cow! The Brit comments: I condemn such debauchery, but only because I am jealous that I missed it.